Last summer a group of Naturists got together for a day in the woods. 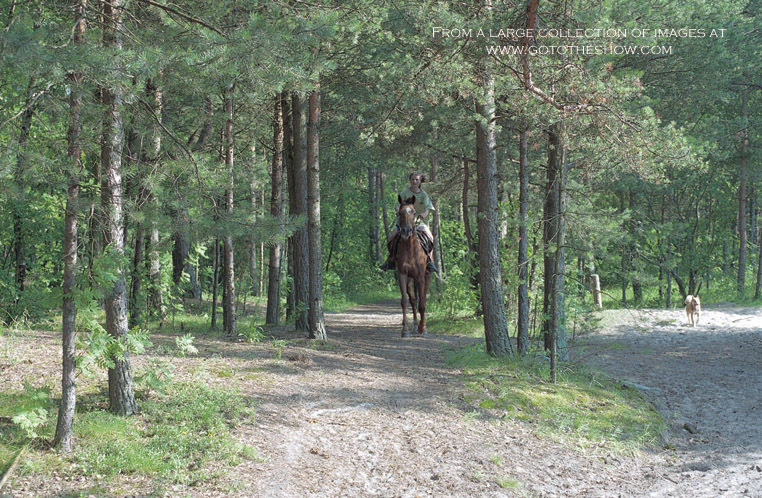 As they began their naked journey through forest, they came across some horse back riders who were kind enough to provide horseback riding to the Naturists. The Naturist society that these girls belong to has been in existence for 200 years, and connects itself with ancient local pagan tribes from thousands of years ago. These Naturists celebrate the same festivals and holidays as their ancient ancestors did. Below are more pictures of the girls as they learn to ride horses for the first time. Later, the continue their trek into the woods for a Naturist Camp. That part can be found on the RussianBare DVD "Karellian Lakes". © 1999 - 2006 by Enature All Rights Reserved. The images on this site may not be reproduced anywhere without clear referral to body-n-mind.com. (or GoToTheShow.com) next to each image. We offer a $5,000 reward for information that leads to the arrest and conviction of copyright violations of images presented at gototheshow.com.